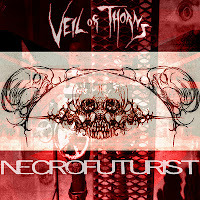 Veil of Thorns delves beyond the psyche to carve out a genre niche of retro futurism. The term cognitive dissonance was first noted during the late '50s as coined by psychologist Leon Festinger. Essentially, Festinger proposed that when people are "confronted with challenging new information, most people seek to preserve their current understanding of the world by rejecting, explaining away, or avoiding the new information or by convincing themselves that no conflict really exists." Empowered with this tidbit of information, listeners can come to the table of the latest Veil of Thorns release with a more open mind for the listening experience. To be sure, this is not your father's version of goth, industrial, or any other formulaic underground sound that is currently in vogue. 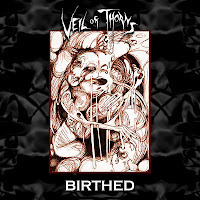 Having come from a collaboration with a couple of black metal artists, Veil of Thorns went into the studio to combine as many genres as humanly possible to create something that is distinctly their own. The opening track "Peripatetio" combines the wonderful swirls of old school goth guitars reminiscent of Bauhaus and Mephisto Walz, while the vocals are a cross between David Bowie and Gamma from The Blessed Virgin Larry. As the guitar work and vocals pull us in, the background style continues to merge into a realm that pushes the genre envelope, continuing to reinvent itself almost effortlessly. "A Weirdness Less Expressed" expands with the delightful swirling guitar work, but throws in avant-garde, jazz-like, dark rock elements. The Bowie flavor is in full force here that the casual listener might even mistake this track as a lost Bowie track. Just when you think that the CD will be full of retro nods to old-school goth, "The Enigmatic Rarely Atone" kick starts with beat-heavy electronic fuel while veering off into a sonic liquid that refuses to be defined. One could easily call it goth, avant-garde, industrial, drum & bass, dark psychedelia but that would limit the parameters since it is in fact all of that yet something even more nebulous. "Surgically Dream Like" provides an ominous cello that seems to stem from the bowels of some forbidden cavern. This particular instrumental track is dirge-like and mournful while also being avant-garde jazz with an underlying malevolence. Cognitive Dissonance is a sonic road trip that refuses to be defined into any specific pattern or genre. While it provides some element of a retro feel for the post-punk early goth rock movement, it still manages to reinterpret those long-held paradigms towards a territory that is a contrast and contradiction within itself. The music borders on the brink of familiarity while constantly transposing and collapsing upon itself throughout. This recording may or may not appear in the club setting as it doesn't seem designed for such exposure, but again, therein lies yet another contradiction. 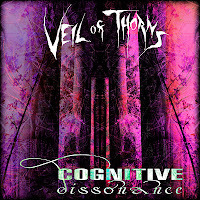 For those who enjoyed Bowie's experimental phase or those longing for something new with an early goth rock feel, Cognitive Dissonance will be a welcome addition to your musical library. 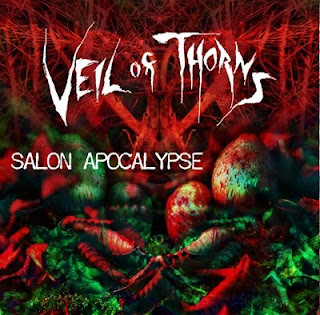 If you put together old school goth rock, David Bowie, Pink Floyd and gothic-electro-industrial and came out with something all its own, you'd have Veil of Thorns. 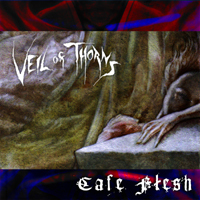 Foamin' Bone Productions' rerelease of the classic indie goth album "Cafe Flesh" is a chance for today's underground listeners to check out some original music. P. Emerson Williams was one of the members of this mood- thick burst of new wave sensitive dark gothic existential angst and he is also to be found behind the goth-industrial flavors of Beyond Flesh and the extremely unique industrial black metal act Choronzon. Well, his (and his fellow artists') creativity is evident here. The staples of Williams' work - eclectic artistry and soulful nihilism - run strongly through Veil of Thorns' gothic musicality. Electronic flavored beats, heavy synthing mixed with edgy guitar weepings and highly new wave influenced vox come together on a goth act that should not be ignored by those who grew up listening to The Cure, Bauhaus and others. 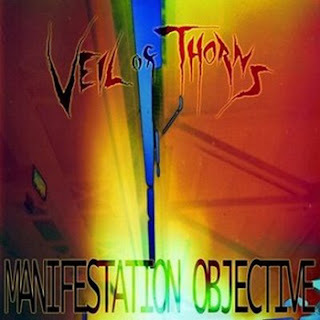 Only Veil of Thorns' sound is all its own, mind you.